The Business Broker Network dug into that regional pride using Google Trends to find the breweries locals are most interested in. 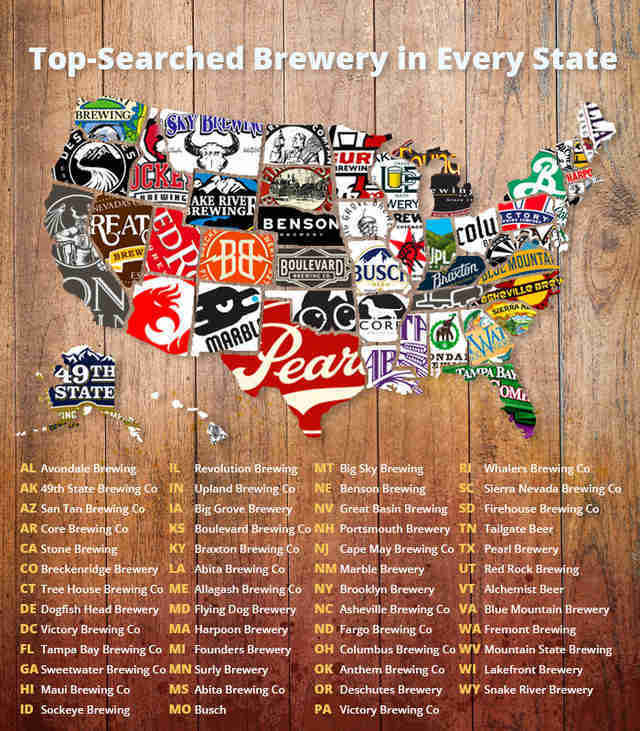 With that search data, it built a map showing the most-searched brewery in every state. It's a weird way to judge breweries. It's also entertaining and a little interesting, so here we are. Unsurprisingly, almost every state was looking for information on their local craft breweries. Missouri was the only state not looking for a craft brewery. The residents there were searching for Busch. 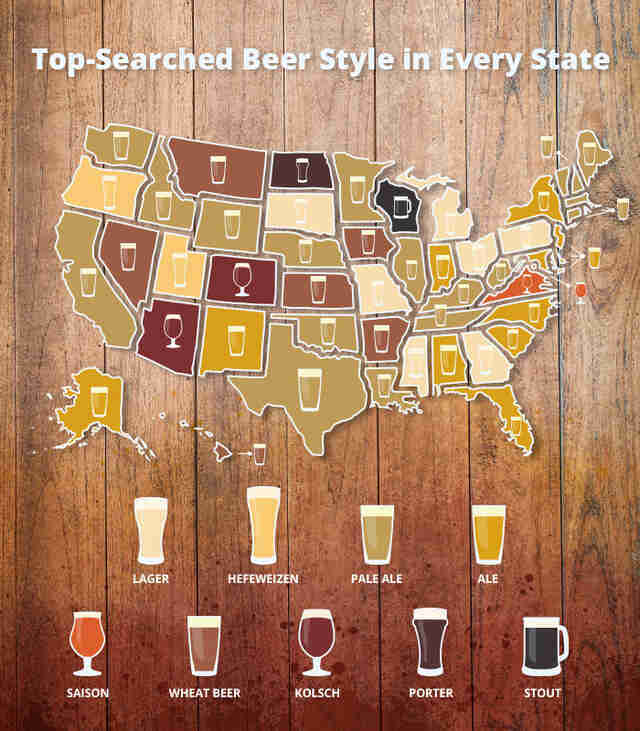 Additionally, the company put together data about the most-searched types of beer in every state using Google Trends to help filter out searches that have nothing to do with the actual beer. While it's less revealing (how many people want a lager and check Google before the fridge? ), it's interesting to note the prominence of pale ales and the little pockets that break out from the overall trends. 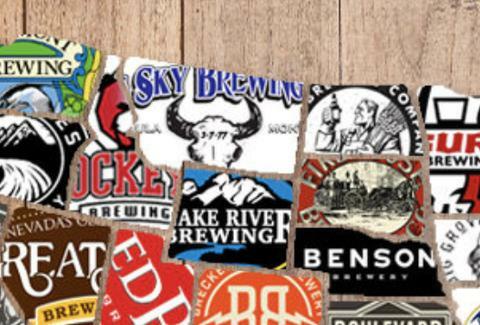 Just one state claims a saison as their "preferred" beer, and two are claiming Kolsch. Dark beers are notably absent, less the appearance of porters in North Dakota and stouts in Wisconsin.